A federal judge has refused to grant a preliminary injunction against an unprecedented regulation of bris milah, and has lifted the stay that was preventing it from going into effect. The ruling only referred to the request for an injunction and the broader case will be continuing. In addition, the decision is expected to be appealed before the Court of Appeals. News that for the first time in U.S. history a governmental regulation has gone into effect restricting a fundamental tenet of Judaism is expected to send shockwaves through the Jewish community. In a ruling issued late Thursday, Judge Naomi Reice Buchwald ruled against the lawsuit brought by the Satmar-affiliated Central Rabbinical Congress of the USA and Canada, Agudath Israel of America, the Chabad-affiliated International Bris Association and three mohalim who were seeking an injunction against a new regulation. This regulation, requiring mohalim to ask parents to sign a consent form which espouses the NYC Department of Health’s view associating metzitzah b’peh (MBP) with serious health risks, a position rejected by mohalim and leading medical experts. “Although obviously disappointed by the District Court’s ruling on our motion for a preliminary injunction, we look forward to ultimately vindicating our substantive and fundamental rights of free exercise and speech,” said Yerachmiel Simins, Esq., speaking on behalf of the plaintiffs Thursday night. “And we firmly believe, based on a careful review of all of the medical data, that MBP is safe, as it has been for thousands of years,” he added. The city hailed the Court’s decision. “We are gratified the Court is allowing this significant public health rule to proceed unimpeded,” said Michelle Goldberg-Cahn, Senior Counsel, Administrative Law Division, NYC Law Department, who argued the case on behalf of the city. In her 93-page decision, Judge Buchwald rejected the claim that the City is constitutionally prohibited from forcing mohalim to disseminate a message with which they disagree — namely, that an act they believe to be a requirement of Jewish law should not be performed. “If a parent arrived with her infant on the day of the bris and did not have a consent form, section 181.21 would simply require that the mohel not perform MBP until the parent somehow procured a consent form, signed it and gave it to the mohel. Nothing in the regulation would require the mohel to provide the consent form himself,” the judge wrote. “Indeed, if a mohel fundamentally objected to the Department’s consent form and to the language required to be included on other consent forms, and it was (counterfactually) impossible for the parent to obtain a consent form independently, the mohel would still be free not to say anything or otherwise to undertake any communicative act. He simply could not perform MBP,” she added. Furthermore, while acknowledging that the regulation focuses on a single religious practice, the judge found that “the law furthers legitimate governmental interests implicated by the regulated conduct; it does not target the conduct’s underlying religious motivation.” For this and aditional reasons, she rejected the claims by the plaintaffs that their religious rights would be violated by this regulation. “Based on the records presently before us, we conclude that [the] plaintiffs are not likely to succeed on the merits of any of their claims,” the judge concluded. While the original, stated reason for the regulation was a highly-controversial and disputed Centers for Disease Control report, the judge accepted the argument put forth by the city that the regulation was legally permissible, even though the accuracy of that report was in question. Instead, the court said that the opinions of other medical experts and medical organizations sufficed — even though these experts relied on the same disputed sets of data. 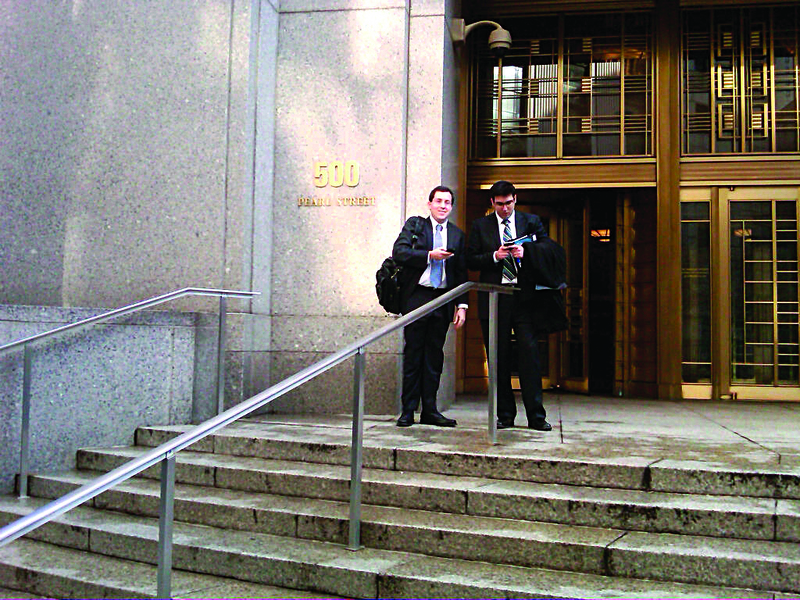 The judge acknowledged the three expert witnesses who submitted affidavits on behalf of the plaintiffs — Dr. Daniel S. Berman, since 1989 Chief of Infectious Diseases at the New York Westchester Square Hospital Medical Center and an outspoken advocate for several years of the safety of MBP; Dr. Awi Federgruen, a noted expert in the field of statistics; and Dr. Brenda Breuer, Director of Epidemiologic Research at the Department of Pain Medicine and Palliative Care at Beth Israel Medical Center in New York. Unlike the experts who gave affidavits on behalf of the city, Dr. Berman — who is considered one of the foremost experts on the safety of MBP — has personally investigated the cases of illness or death that were allegedly linked to MBP. Based on his firsthand knowledge and careful, unbiased research, Dr. Berman has repeatedly stated that there is no proof that MBP has ever caused a child to fall ill.
As the ruling only referred to the request for a preliminary injunction, the case will be continuing before the same judge. The plaintiffs are expected to file an appeal about this decision to the Second Circuit Court of Appeals. This article appeared in print on page 1 of the January 11th, 2013 edition of Hamodia.